Regulators are people too. That’s what Monika Liikamaa, CEO of Enfuce Financial Services, wants to remind other founders who complain about meeting the strict standards of financial services regulators. “You have to be able to understand their concerns,” she says. 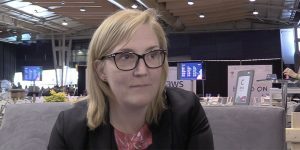 “People are people, and they just want to feel secure that if they give a person a ‘go,’ the person they say okay to knows what they’re doing.” With Enfuce, the first infrastructure payments platform to run banks and financial institutions in a public cloud, Liikamaa’s solution to navigating the compliance process is doing her homework. As she was getting Enfuce off the ground, she says that regulators never asked her any hard questions because she had made sure to anticipate what they would ask and proactively answer their questions. For more from Liikamaa, including how she decides what features Enfuce should build and how she sees the banking industry evolving, listen here.